The law has finally caught up with ANC strongman, Ngrayi Ngwenya, following his arrest on Tuesday, or has it? If convicted, it will be for the fifth time that ANC Ehlanzeni regional chairperson, Ngwenya, has been convicted of the same offence, but escaping imprisonment. This is only be the second time in recent years that Ngwenya appears in court following an alleged assault of members of an ANC faction aligned to one of the contenders for the vacant ANC provincial chairperson position. All other cases of assault against him never reached court, largely as a result of the withdrawal of the cases by the complainants. On Thursday, Mpumalanga police spokesperson, Brig Leonard Hlathi confirmed that four suspects appeared at the Nkomazi Magistrate Court on Tuesday after they handed themselves over to the police. One of them is Ngwenya. “Four suspects have made a brief appearance before the Nkomazi Magistrate Court on Tuesday Nov 20, 2018 on a charge of assault GBH. Shadrack Mthethwa 39, Sibusiso Nkosi 34, Bhekithemba Lubisi 29 and Ngrayi Ngwenya 54 have handed themselves over to the police after a charge of assault GBH have been laid against them,” said Hlathi in a statement. “The four suspects allegedly assaulted Vincent Ndlovu 32, Thembisile Makamu 52 and Mbongiseni Mathebula 30 on Saturday at Block B. The four suspects have been granted a R1000 bail each and they will appear again on January 23, 2019,” said Hlathi. It is not the first time that Ngwenya has been arrested and charged for assault. Previously Ngwenya was convicted of assaulting Economic Freedom Fighters provincial leader, Collen Sedibe. Sedibe was expelled from the ANC after he laid charges against Ngwenya, but nothing happened to Ngwenya. Instead he was promoted to the position of regional chairperson. ANC spokesperson Sasekani Manzini said that the ANC only became aware of the allegations against Ngrayi through the media, and that they have not received a complaint. “We have not received any formal complaint from the person alleging to have been stabbed by the chairperson. If the person is the member of the ANC, they know the processes of the ANC, so we can’t go around looking for people who have complaints. We did not receive any formal complaint from any person. We can’t even conclude that there were incidents about the chairperson,” she said. Ngwenya is a former leader of the National Party and a vigilante organisation called Isikhonyane. 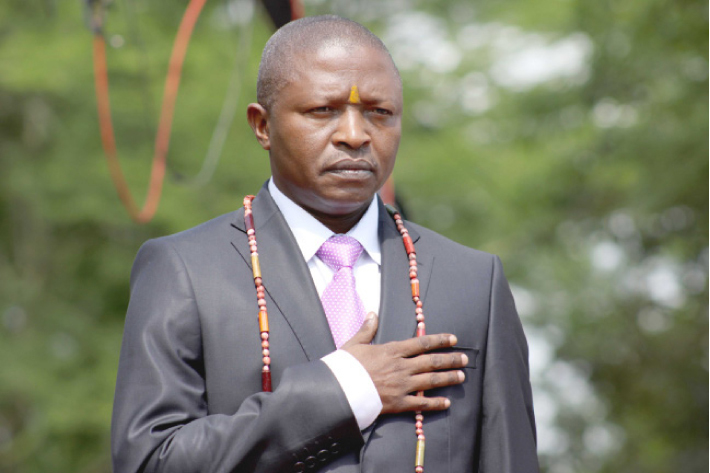 Isikhonyane was always at the centre of allegations of assault of ANC members who did not support Ngwenya and ANC deputy president David Mabuza. 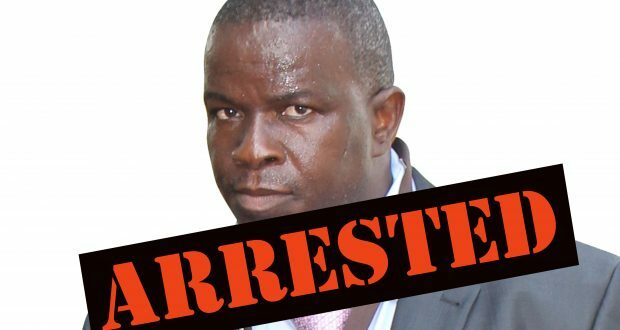 In 2009, Ngwenya was accused of allegedly assaulting former provincial executive committee member, Hamza Ngwenya. In 2010, he was accused of allegedly assaulting two more PEC members of the ANC Youth League, one female. The cases, which were all reported in police stations in Nkomazi, where Ngwenya stays, disappeared. In 2013, he was finally arrested and appeared in court for the assault of Sedibe. Sedibe refused attempts from his former organisation to withdraw the case in exchange for money, paving the way for Ngwenya to be sentenced to a R1000 fine. Prosecutor, Victoria Nkuna, argued, unsuccessfully for Ngwenya to be given a harsher sentence because of four previous convictions of assault with intent to do grievous bodily harm. “The accused has four previous convictions of the same offence, I’m asking this court to hand him a harsher sentence,” said Nkuna at the time. Her prayers were unsuccessful, and Ngwenya was back in the streets, and more assault cases followed. 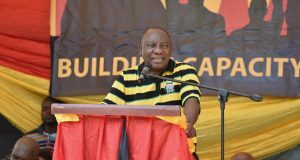 In 2016, during the state of the province address, he was allegedly part of the group of ANC supporters that allegedly stabbed a member of the Economic Freedom Fighters during the state of the province address. The case collapsed after the EFF member joined the ANC and withdrew the charges. Last year, Ngwenya’s name and that of former ANC MP, Mvuselelo Magagula, were again in the media headlines for the alleged assault of Cyprian Mooca. Besides all these, the ANC in Mpumalanga sees nothing wrong with Ngwenya’s convictions and conduct. Manzini denied that the leaders of the organisation were protecting him. “Any member of the ANC is equal and we are guided by the constitution. There is no way that we can have preferential treatment or afraid of any person,” she said. Manzini said the ANC acted against Ngwenya for Sedibe’s assault, but could not say what action. “I was not a PEC member. I’m responding to what is happening currently. The ANC at that time has dealt with the matter in the manner they saw it fit,” she said. “Any person is innocent until is proven guilty. If the person is charged, we support the law enforcement institutions. The ANC will allow that process to unfold and we will not interfere with that,” she said. Jealous Nyalunga, the campaign leader for ANC provincial chairperson candidate, Peter Nyoni, was infuriated about the attack on their supporters. “We are very much disappointed. We don’t know if these comrades will be allowed to continue to participate in the elections processes. They are complaining that we are only concerned about the positions, but when we attend elections programmes, they attack us. So, what must we do?” said Nyalunga.